Christmas is less than 10 days away, and if you’re anything like us, you still need to buy gifts. Thankfully, the team behind Goop and Food52 have opened holiday pop-up shops to appeal to fellow design fanatics, foodies, and last-minute shoppers. The Food52 Holiday Market features home décor and expertly curated cooking supplies from their beloved site. Among the selection of goods, you’ll find Moroccan pitchers and tumblers from Hawkins NY, ceramic ornaments from Art et Manufacture, and bitters from Brooklyn’s Cecil & Merl. Though the shop officially closes this Sunday, there are events happening all week, including a cookbook signing with famed chef April Bloomfield and a children’s reading hour. In true Gwyneth fashion, the Goop Mrkt offers a fashionable mix of ultra-luxe and modest buys. 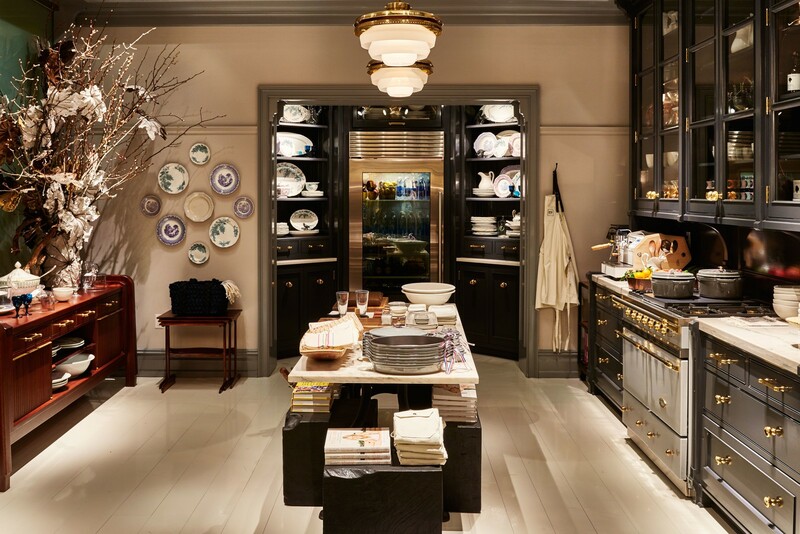 Designed by power firm Roman & Williams, the space features several distinctly designed areas, including a bathroom outfitted with wallpaper from de Gournay, and a kitchen equipped with custom lacquered cabinets and stocked with antique tableware. Happy shopping!